Once you make the planter, it's ready to hang — just add a plant! 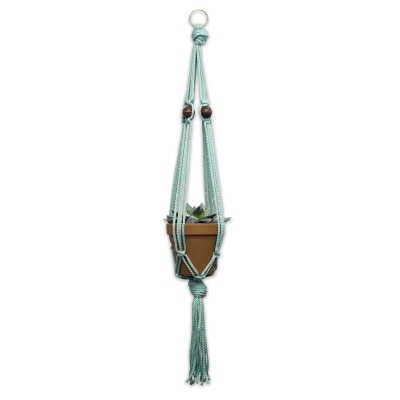 Display your handiwork and bring some green décor to your space. 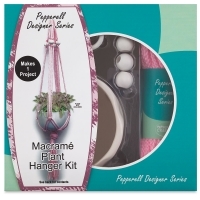 Choose from three styles. 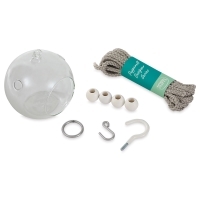 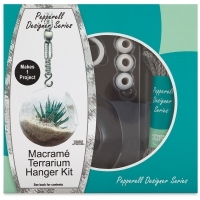 Terrarium — This kit includes a glass terrarium globe, 15 ft (4.57 m) of Gray polypropylene cord, four wooden beads, a metal S-hook, a metal-plated ring, a vinyl-coated ceiling hook, and instructions. 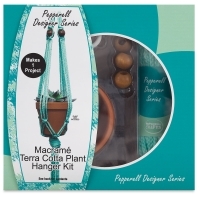 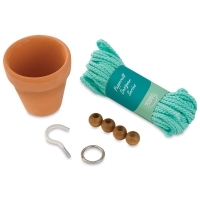 Terra-Cotta Pot — This kit includes a terra-cotta planter, 56 ft (17 m) of Mint polypropylene cord, four wooden beads, a metal-plated ring, a vinyl-coated ceiling hook, and instructions. 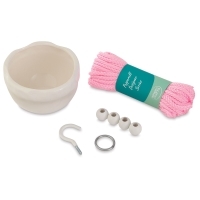 Ceramic Bowl — This kit includes a white ceramic planter, 56 ft (17 m) of Pink polypropylene cord, four wooden beads, a metal-plated ring, a vinyl-coated ceiling hook, and instructions.